Our range of flush compression latches and handles increase safety by not having external projections to catch on clothing. This also presents a neater streamlined visual appearance to specialist cabinets, which minimises opportunities for vandalism by reducing access for tools. This, combined with compression technology, creates a lock resistant to vibration (no nuisance opening) and provides consistent and adjustable compression to optimise sealing with extruded profile sealing strips in materials like EPDM, neoprene or PVC. 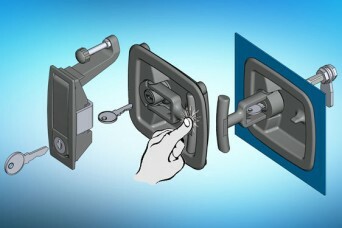 EMKA flush compression locks may be used on specialist enclosures, doors, access panels and storage lockers or vibration prone vehicles. The 1130 series includes a retractable compression T handle and two styles of compression flush lever handles with pop-out release. 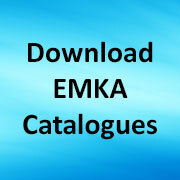 CAD drawings are available to download from our main website at – www.emka.com/uk_en/products/cad-files/. Share the post "Increased safety and sealing with 1130 program flush compression handles"